Life has changed. For the better? For the worse? No answers here. Change is change and its how you deal with it. Let’s just say I’m happy. I’ve been absent for a while and for this I apologize. My focus has been personal for the last few weeks. I’ve sold my house; my son has an apartment and a full time position embracing the world in a suit and tie. My daughter is back at college finishing her last year and I’m living with my girlfriend. Change no matter what it is is part of life. If you stay stagnant nothing happens and the world and any opportunity pass you by. You have to make your world or the world decides to handle it for you. So back to food. What we create and what we are capable of creating is matched by the effort we put into it. I recently took a job with a BBQ restaurant as a smoker. I would prefer Pitmaster, but I’ll take the title. Cooking in an industrial setting is a little different than cooking for family and friends and the idiosyncrasies of a pellet smoker compared to my BGE is challenging. I like to match my meals with the wood I’m smoking. Fruit woods for pork, hickory or maple for poultry, and pecan or oak for beef. Using one wood for all proteins is different for me but when you are cooking for the masses, you don’t really have an option. Then there’s the forward thinking. Smoking today for tomorrow. How many plates can we expect? What about the food truck’s needs. 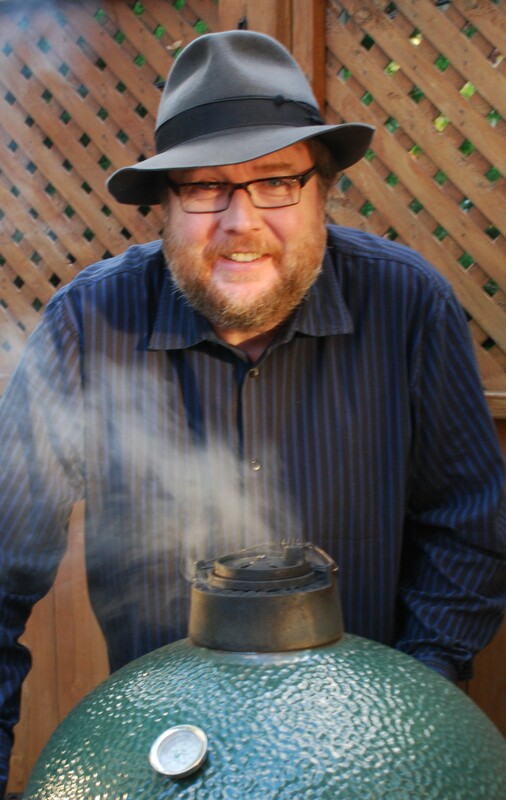 How much can I fit in the smoker and not compromise the smoke circulation and temperature? It’s a dance I’m quickly learning. So back to the food, again. 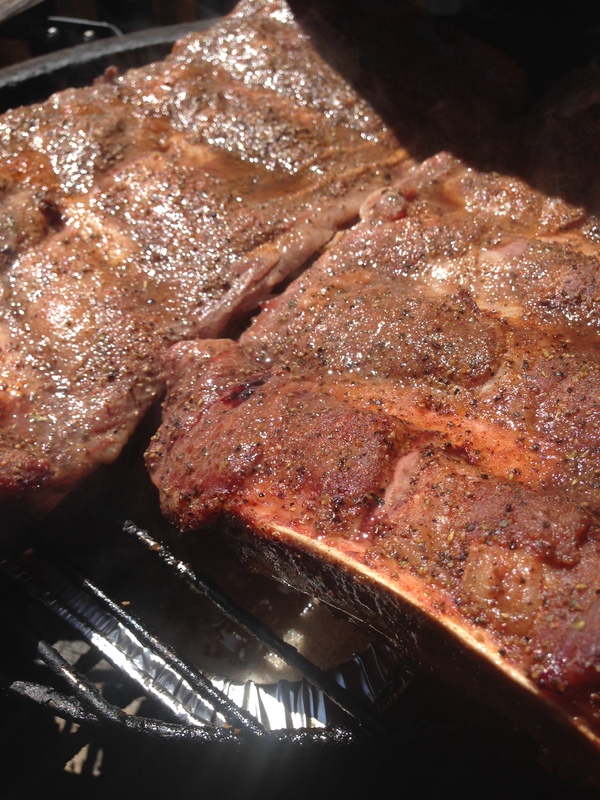 The first thing off the BGE at its new home was beef ribs. I’ve done them before and have always been disappointed. I finally realised my mistake. They’re not pork, they’re beef, they have different rules. Beef doesn’t abide by the 3/2/1 system. They need lower and slower and no complex rubs. Just let the meat talk for itself and do what it needs to do. The rub was simple, kosher salt, black pepper, garlic and onion powder, and cumin. The first level of the membrane pulled off and smoked over pecan wood for 7 hours at 250f. Taken off when the meat feels like a balloon filled with water, soft and giving. I wrapped them in foil and left them to rest. Just before serving I grilled them on the gas grill and basted them with a basic beer based sauce to caramelize the sticky goodness. I also served hickory smoked chicken wings too because it’s all about excess at this point. An avocado and edamame salad topped it off. This was the first meal I cooked for my new blended family and to bring everyone together. I’ve said before food is love but maybe I should preface that, family is love and food is the binder that brings everyone together at the table. Making it special makes the days end special. What are you doing tonight or this weekend? When was the last time you brought everyone together and talked about life? Think about it? I’ll be updating a lot now that I’m settled in. 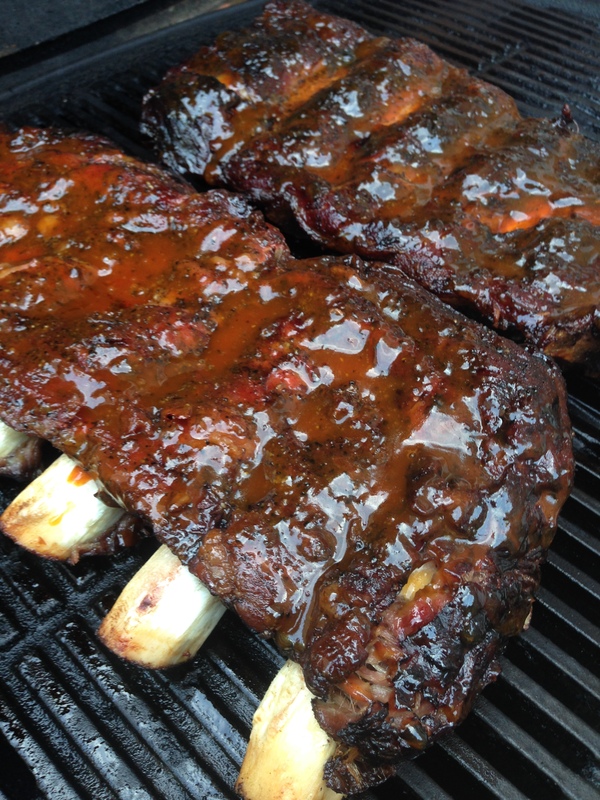 This entry was posted in Beef Ribs, BGE, Change, family, The Artisanal Grill, Uncategorized and tagged Beef Ribs, Change, Scott Tait, The Artisanal Grill. Bookmark the permalink.